WAIST/HIPS: It will fit sizes from cm 82 / inches 32 to cm 94 / inches 37. LENGHT: on the back, at its longest (including the fringes) it is 42 cm long / inches 16.5. 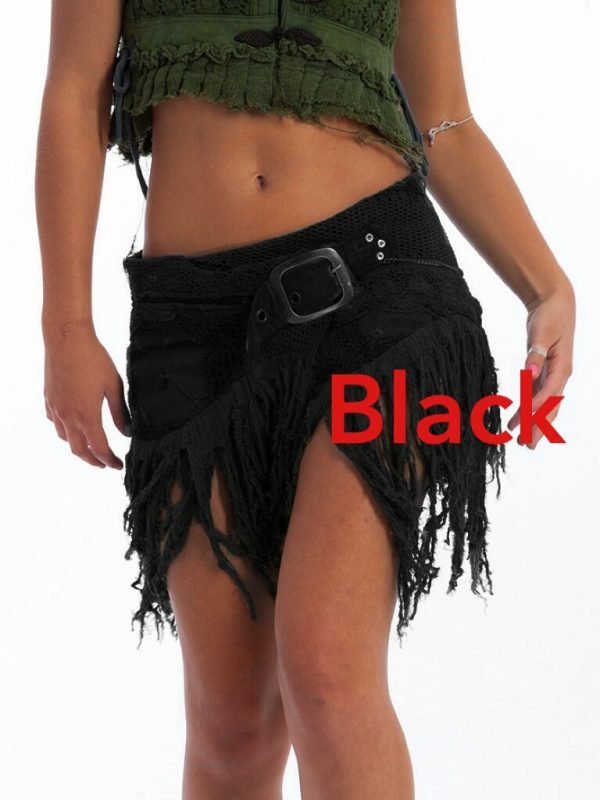 Crochet and cotton steampunk mini skirt with front buckle, fringes, chain and key decoration. Simply the talk of the Steampunk fashion world. It has a handy front pocket measuring cm 15 x 13 / inches 6 x 4.5. It ties up with a string and a small belt on the front, allowing for best fitting for a great range of sizes. Made of Cotton and crochet.